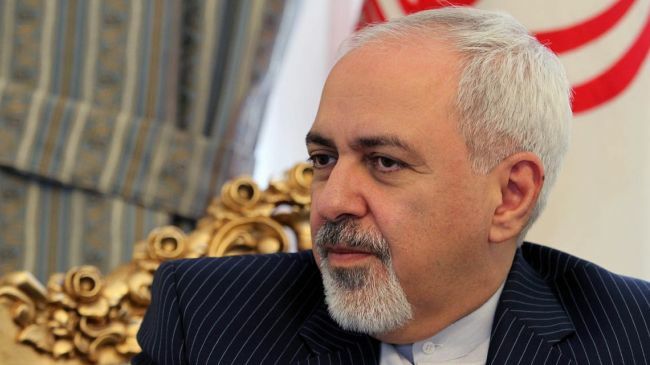 Iranian Foreign Minister Javad Zarif has revealed for the first time that Iran has made a detailed proposal to the P5+1 group of states aimed at ensuring that no stockpile of low-enriched uranium would be available for "breakout" through enrichment to weapons-grade levels. In an exclusive interview with IPS, Zarif described an Iranian plan, presented at the meetings with the P5+1 last month in Vienna, that would exclude weapons-grade enrichment. "The parameters of the proposal would be set to continue Iran's enrichment but to provide the necessary guarantees that it would not enrich to anything over five percent," said Zarif. The plan would involve the immediate conversion of each batch of low-enriched uranium to an oxide powder that would then be used to make fuel assemblies for Iran's Bushehr reactor, according to Zarif. Because Iran does not have the capability to manufacture fuel assemblies for Bushehr, the proposal implies that the oxide power would be sent to Russia, at least for several years, rather than remaining in Iran. The previously undisclosed Iranian plan is part of a broader negotiating stance that insists on the need for a large increase in the number of centrifuges it would have in the future -- a demand that the United States and its negotiating partners have rejected. Zarif said he could not discuss the details of the Iranian proposal, because it is "still being negotiated." But he described it as involving a complete cycle "from conversion to yellowcake, to UF6, to enriched uranium, back to oxide powder, and back to fuel rods," all of which would be "designed specifically to meet the requirements of the Bushehr reactor." The proposal, which was later published by the Iranian government, included a series of "technical guarantees" against nuclear weapons proliferation. It describes one of those guarantees as "immediate conversion of all enriched uranium to fuel rods to preclude even the technical possibility of further enrichment." "I asked them what would provide the necessary confidence," said Zarif. "They gave me a number of elements, which I put in a package and sent to Tehran, and they took it to Paris." Frank N. Von Hippel, former assistant director for national security in the White House Office of Science and Technology and now a professor at Princeton University, confirmed in an e-mail that he had been part of a small group of American scientists and others who had met with Zarif to discuss the problem of how to provide assurances that Iran's civil nuclear program would not be used to support a nuclear weapons program. Von Hippel said his recollection was that the group had suggested "not building up a stockpile but rather shipping [the low-enriched uranium] to Russia to make fuel for the Bushehr reactor." Peter Jenkins, then the U.K. permanent representative to the International Atomic Energy Agency, participated in the March 23, 2005 meeting at which the Iranian plan was presented. "All of us were impressed by the proposal," he recalled in a 2012 interview. The Europeans did not accept it as the basis for negotiation, however, because the George W. Bush administration had insisted that Iran not be allowed to have any enrichment whatsoever, according to European diplomats involved in that earlier phase of negotiations. Zarif rejected the Obama administration's position that Iran should obtain whatever reactor fuel it needs for Bushehr or any future reactors from Russia or other foreign sources rather than relying on its own enrichment capabilities. "People should not tell us you have to rely on us," he said. "It is 30 years too late."